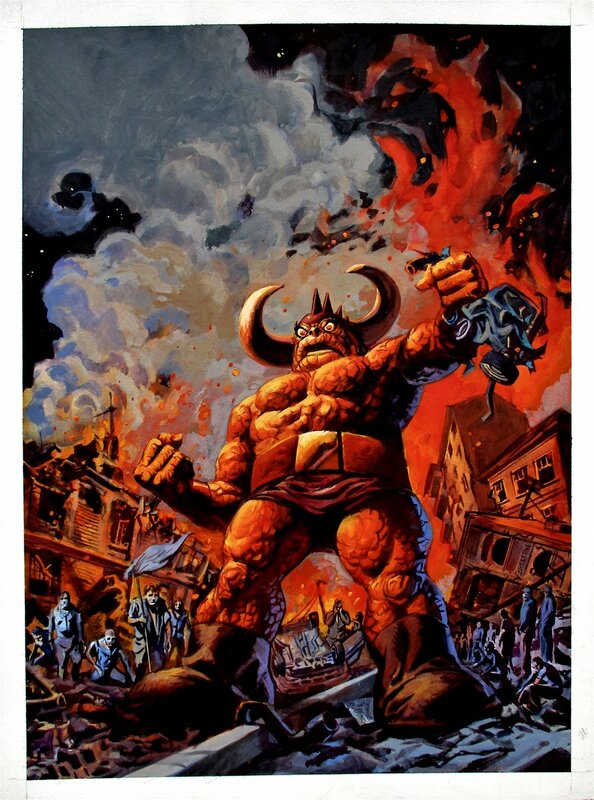 Click Here To See Amazing Fantasy Omnibus #1 Book! 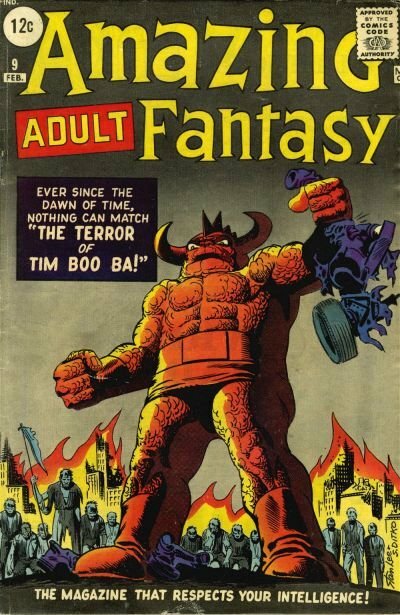 Click Here To See Amazing Adult Fantasy #9 Comic Book! 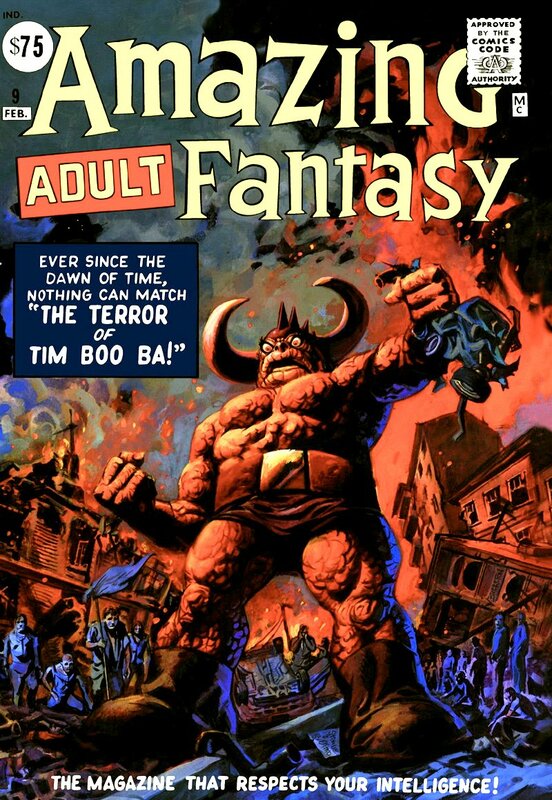 Check out this very nice PUBLISHED COVER Painting which was created ENTIRELY by the great Dan Brereton, from the story titled: "The Terror Of Tim Boo Ba!" This nice painting features a classic painted homage to Steve Ditko's classic 1961 Marvel cover to Amazing Adult Fantasy #9! Art is drawn on 15 by 20 inch art board, and is signed at the bottom! There is also a classic destroyed sign by TIM BOO BA's left foot reading "STAN LEE & S. DITKO" And Brereton Signed his name sideways on the destroyed fallen building in the lower right side of cover. Just a great opportunity here to own a NICE cover painting by this great artist! Compare this nice painting to the published comic book, as well as the published Amazing Adult Fantasy #9 Comic Book in the red links above! ALL art on our website (including this one) are able to be purchased with VERY fair time payments, and trades are always considered towards "ANY" art on our website! Just send us an email to mikeburkey@aol.com and we can try to work something out.